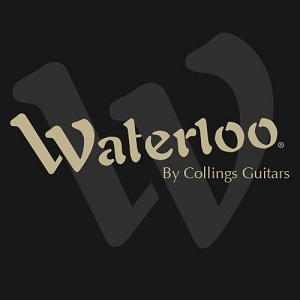 The Waterloo guitar line is a look back in time to when there was a genuine need for soulful tone that could be coaxed from simple instruments. 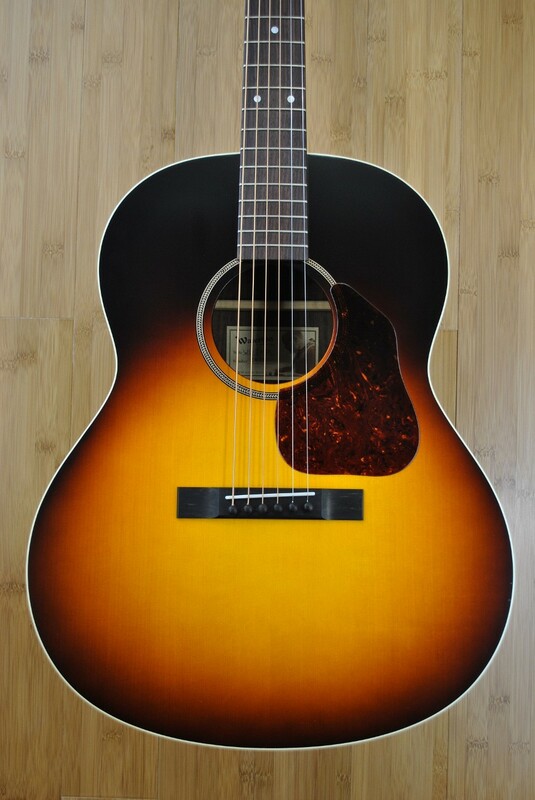 The blues, country, and folk music played on these instruments was made in heartfelt response to the hard times of the depression era. It was music heard in work camps and barn dances, kitchens and honky-tonks, porches, street corners and churches. 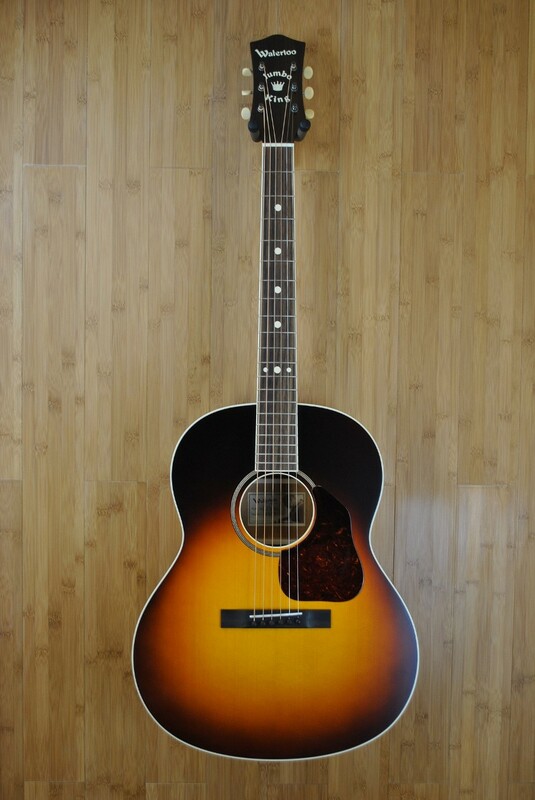 These musical styles became the roots of popular American music for decades to come. 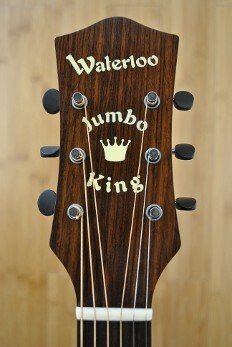 The Waterloo brand is all about capturing the voice and spirit of the very best depression era guitars in well-made and very playable instruments. 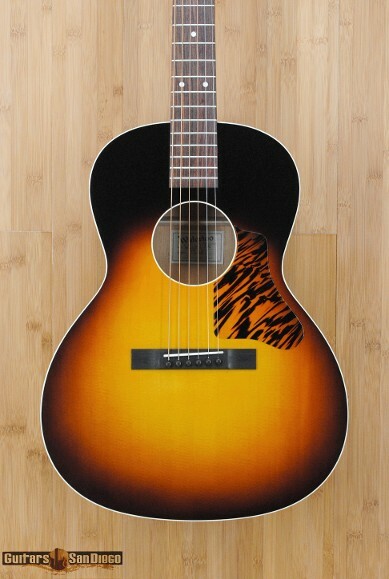 The WL-JK Deluxe” version featuring added bindings, true-to-era "valve cover" tuners, and a full-body sunburst finish. 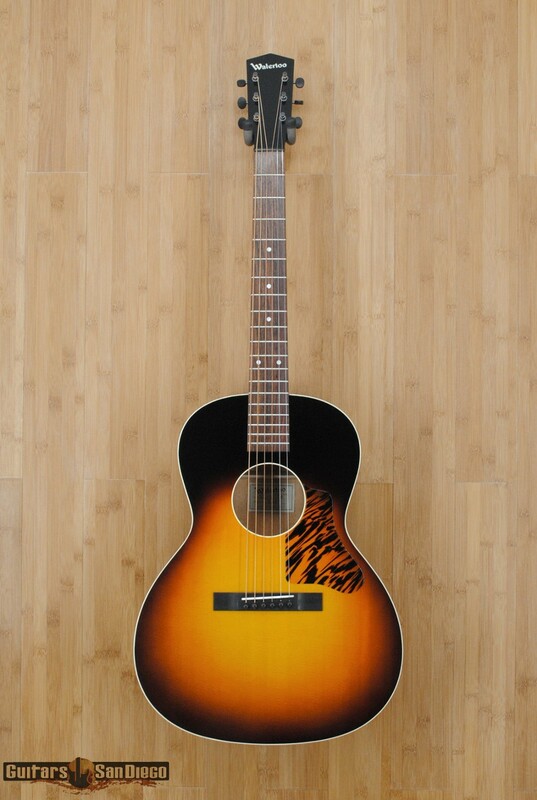 Vintage inspired x-bracing and prominent v-shaped neck with fully adjustable truss rod. 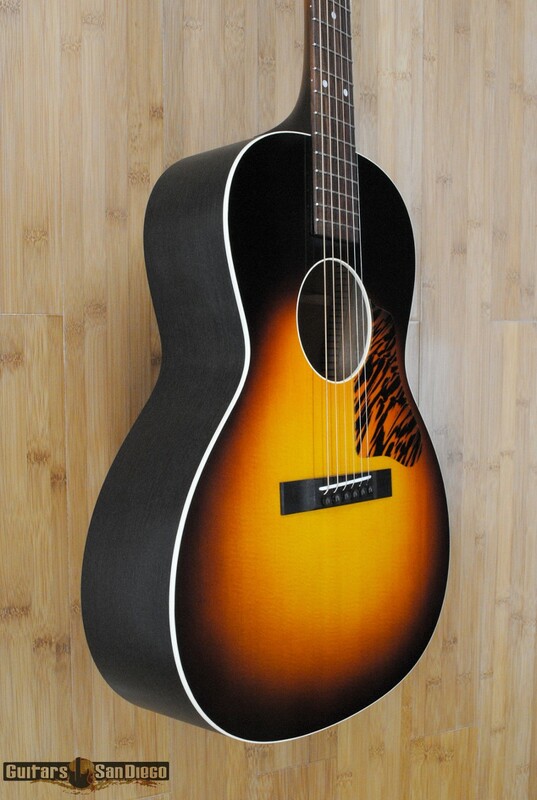 Vintage inspired x-bracing and prominent v-shaped neck, with fully adjustable truss rod. 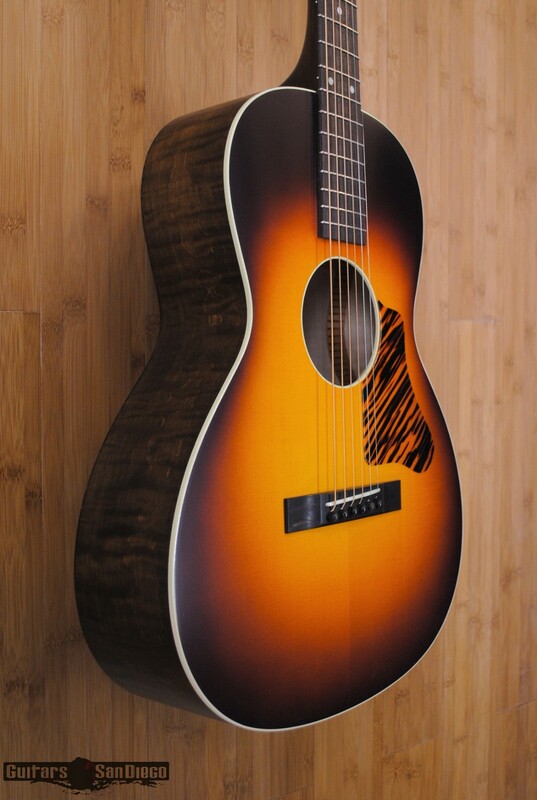 The Waterloo WL-12 is a new variation on the flagship WL-14 that brings together the elements of maple back and sides, vintage x-bracing, and 12-fret construction to create an entirely new Waterloo experience. 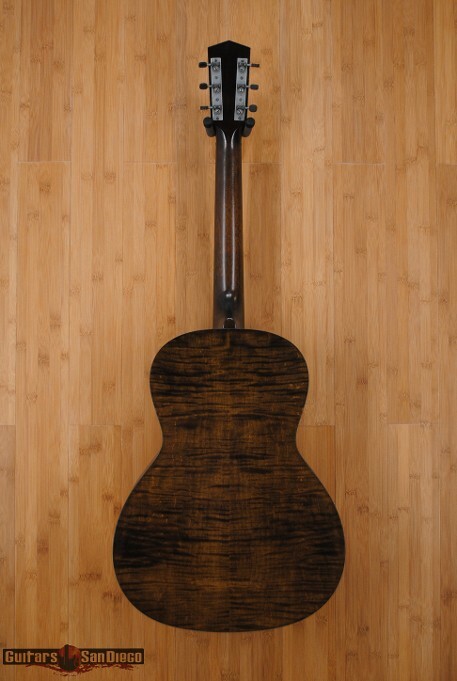 By joining the neck to the body at the 12th fret, the bridge is positioned closer to the center of the lower bout, producing a rich and open tone with stronger low end response than you would typically expect from a parlor-sized guitar. 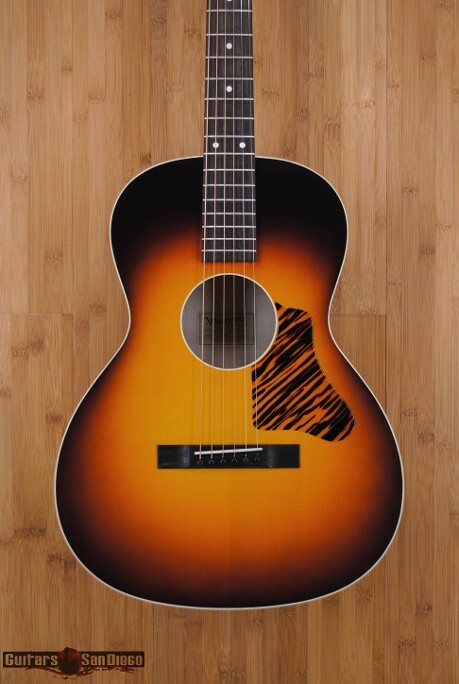 Maple back/sides make for the perfect tonal compliment to the body design, adding focus, projection, and a pronounced front-end attack that is sure to inspire players of nearly any acoustic genre. 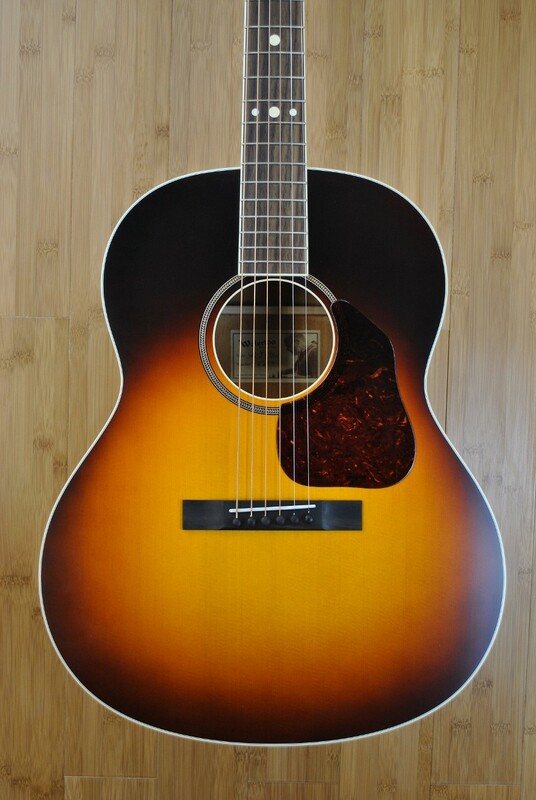 As a standard, all WL-12 models feature a moderate oval-shaped neck profile with a fully adjustable truss rod, drop-in saddle, and a vintage "iced tea" sunburst finish. 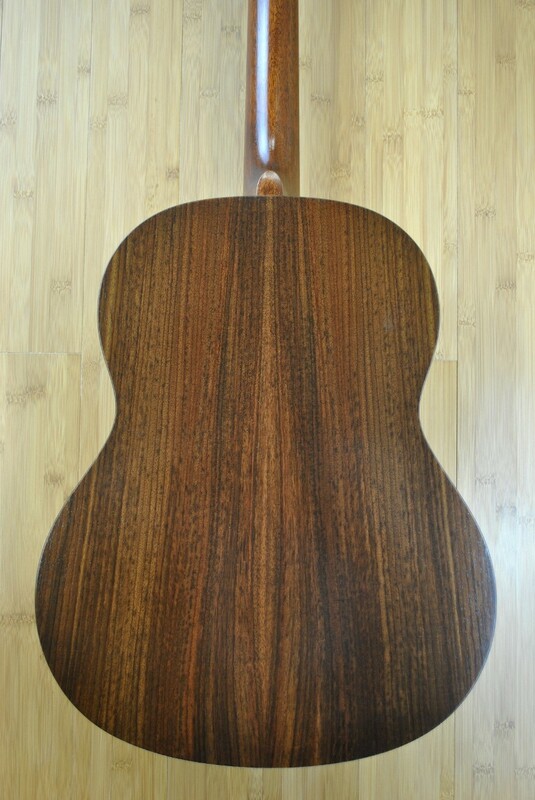 Hardshell TKL case included. 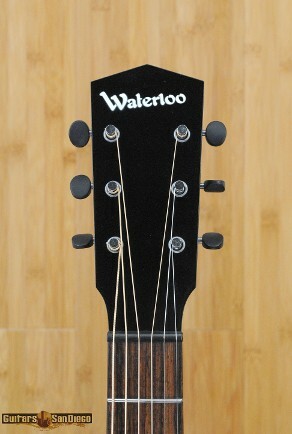 The Waterloo WL-14 is the flagship model of the Waterloo guitar line and the inspiration that started it all. 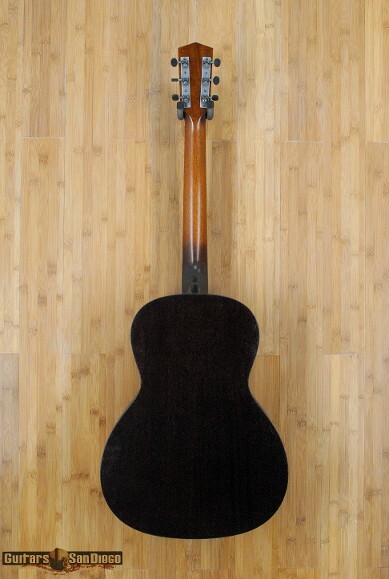 Keeping true to the design and style of the era, this WL-14 has ladder bracing (L). 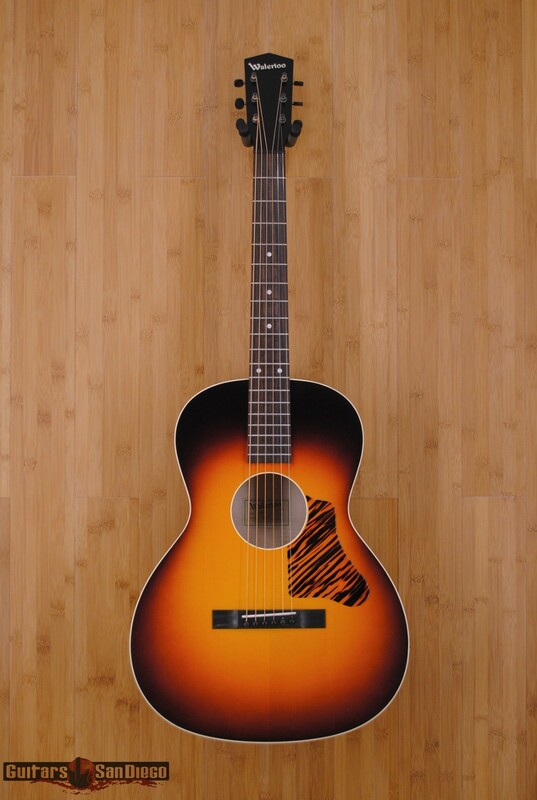 The ladder bracing option provides woody and open tone, with midrange honk that's perfect for fingerstyle blues. There are currently two different neck profiles and two neck support options available for the WL-14, this one has the small neck profile. 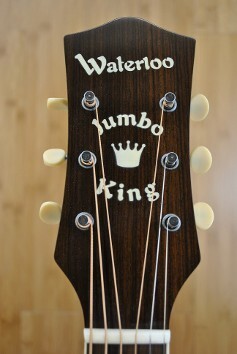 Adjustable truss rod for greater setup flexibility. 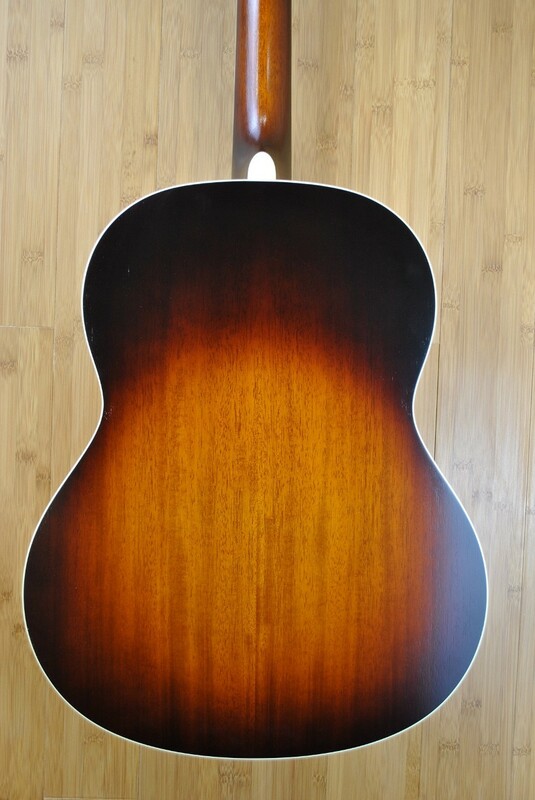 Hardshell TKL case included. 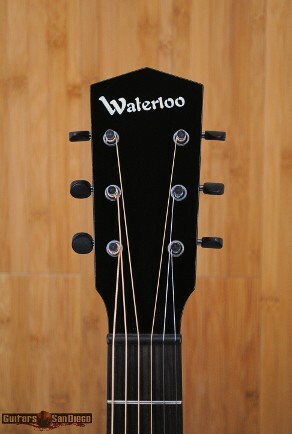 The Waterloo WL-14 is the flagship model of the Waterloo guitar line and the inspiration that started it all. 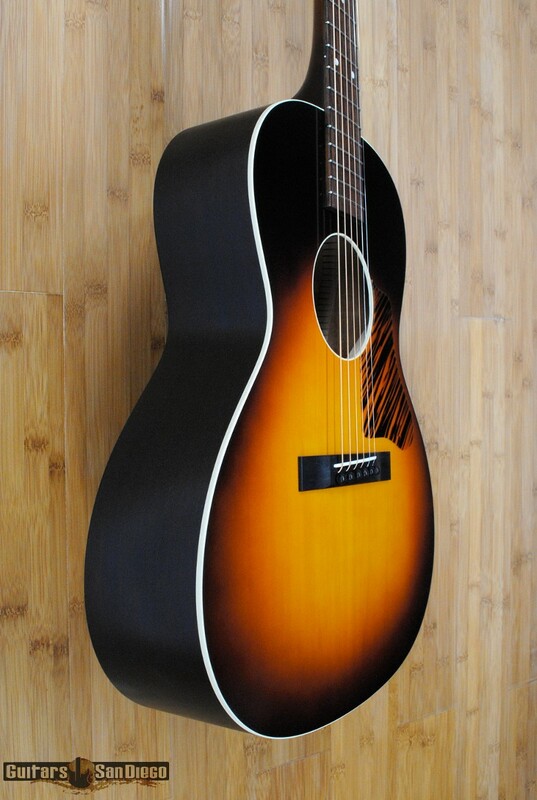 The neck profile is the Small option, and the adjustable truss rod option on this WL-14. 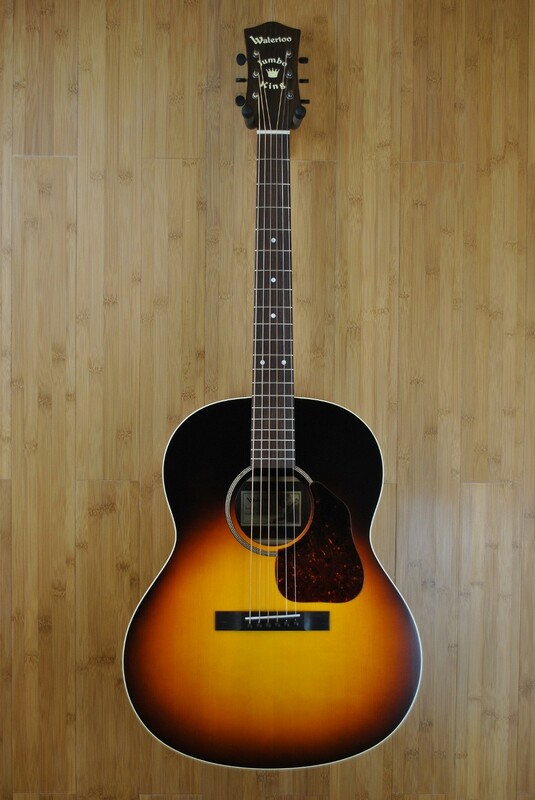 Hardshell case included.